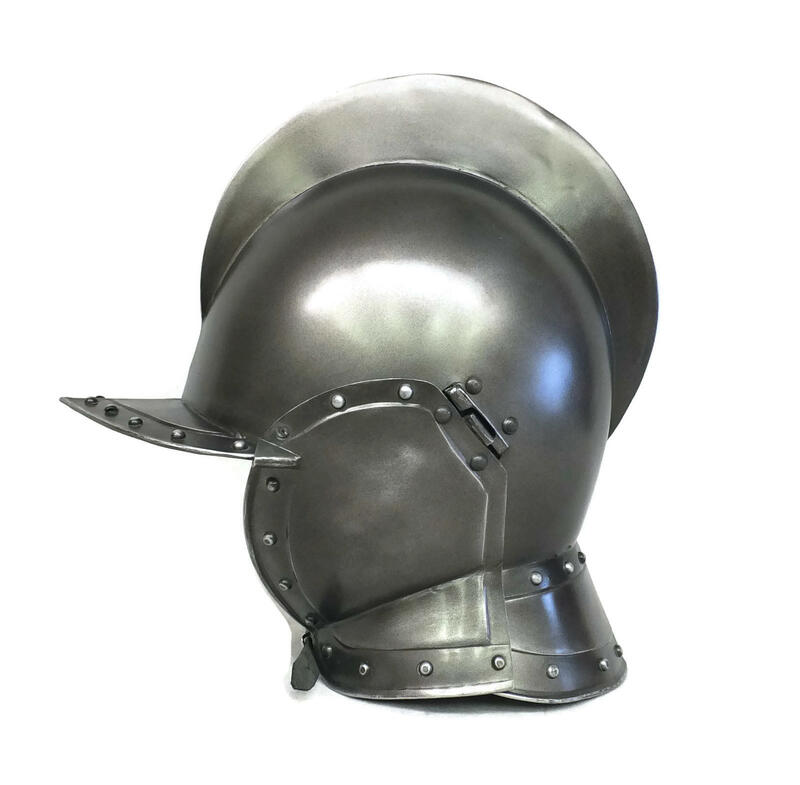 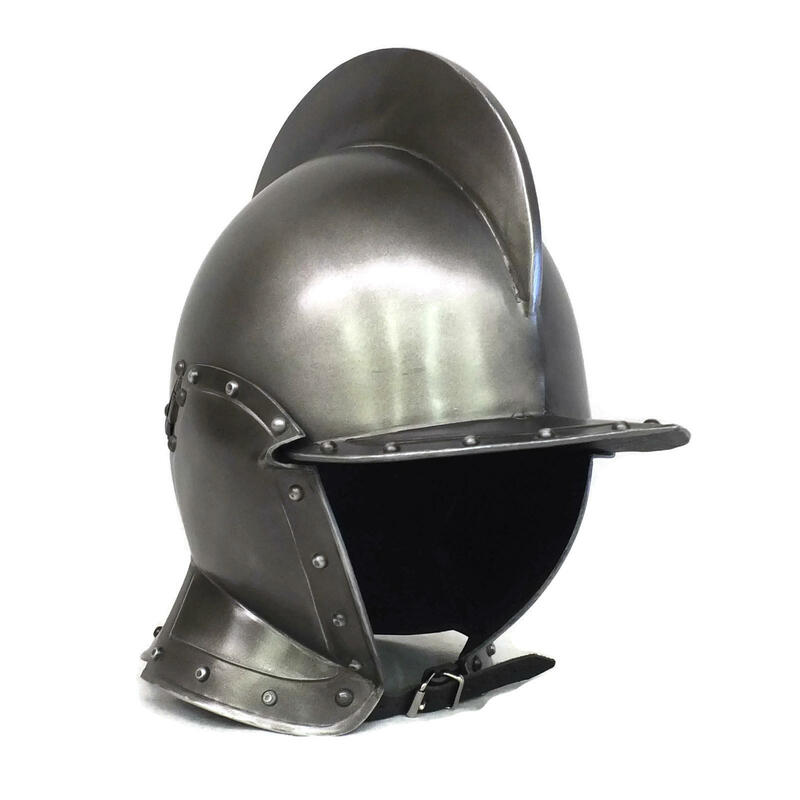 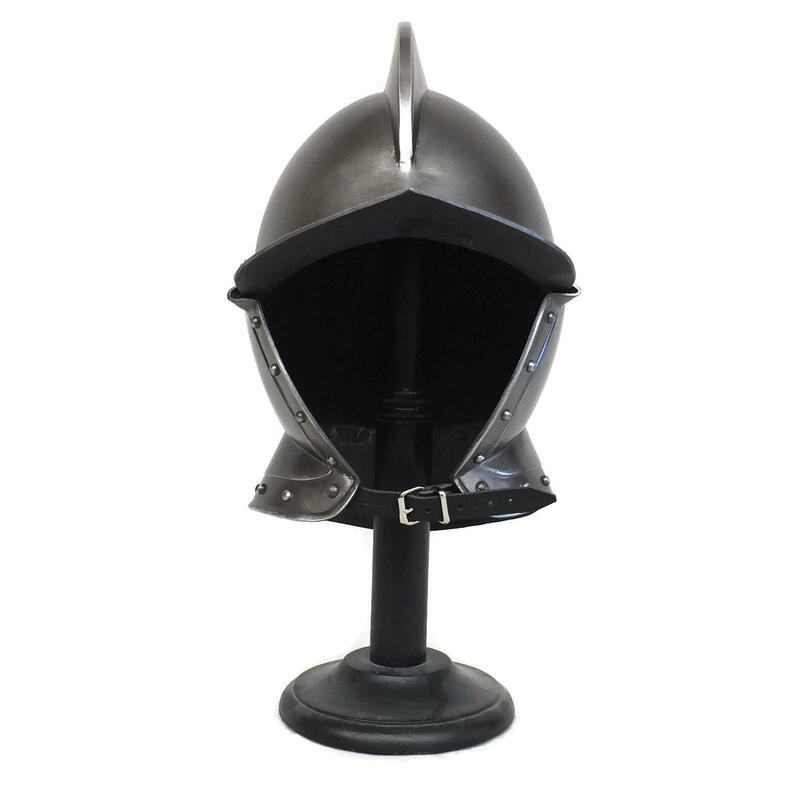 Burgonet 16th Century style helmet with hinged face pieces. 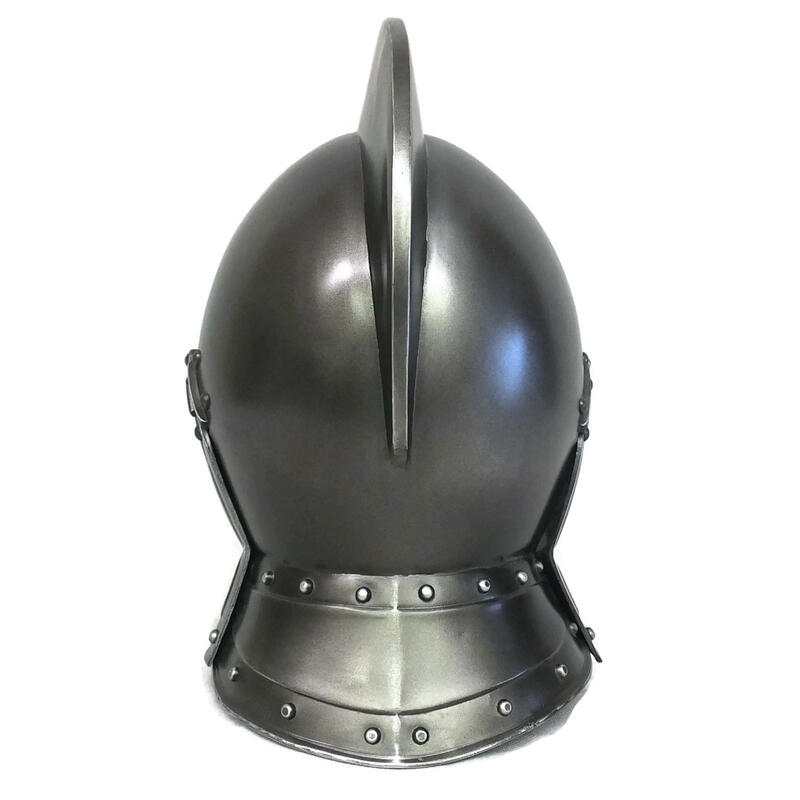 Comes complete with black leather chin strap. 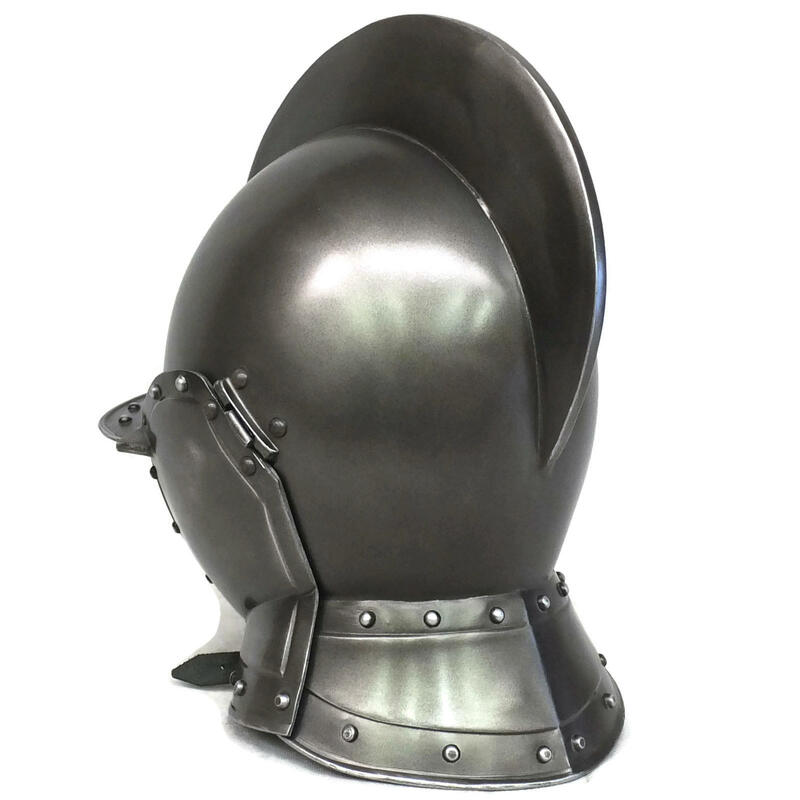 Will fit head size up to 24" (61 cm).